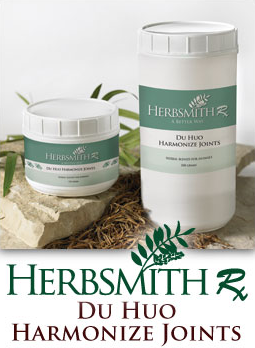 Herbsmith Du Huo Harmonize Joints provides joint support while increasing the vitality of the persistently depleted horse. This blend addresses discomfort in the joints and limbs that results from training and everyday activities. The horse that would benefit most from this blend is generally weak, has a poor hair coat, and lacks luster to the eyes. The horse has achy joints and limbs resulting from prolonged wear and tear to one or multiple joints or limbs. Lower back discomfort may also accompany these issues. This will often get worse with cold and damp weather. Note: May want to change to Herbsmith Angelica Harmonize Joints during warm summer months. Precautions: Can be used long-term.